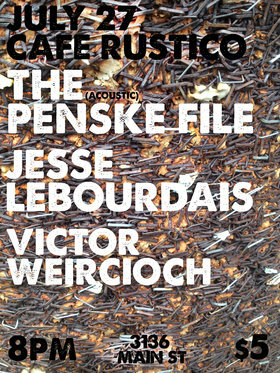 The Penske File is in city for one night only and they will be doing their set acoustically at Rustico on Main St. 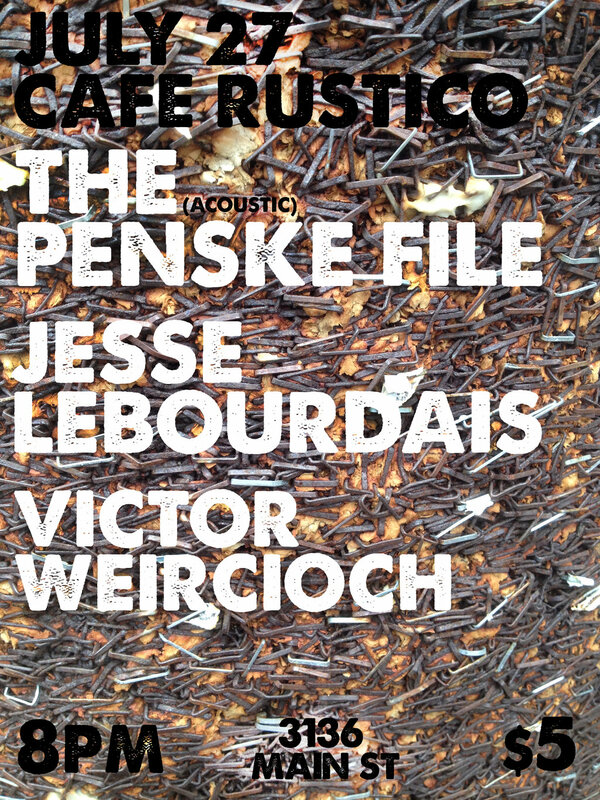 Supported by Jesse Lebourdais and Victor Weircioch. Only $5. This. Will. Be. Good.